Unhappy with your ELDs? Test drive J. J. Keller ELogs! Don't stay stuck with your provider. Learn more. Simple, flexible, affordable electronic log solution. A flexible ELog solution. 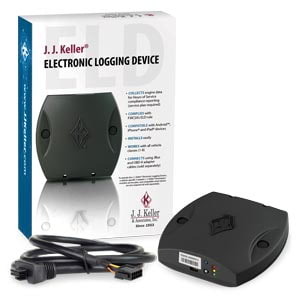 Use Electronic Logging Device (ELD) with the J. J. Keller Mobile® app for Apple® and Android™ smart devices to simplify compliance. 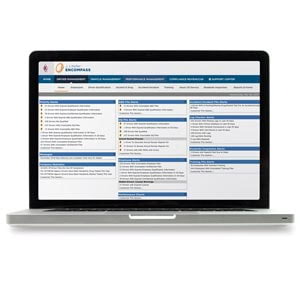 Includes J. J. Keller Encompass® online portal. A simple, flexible, turnkey solution for integrating ELogs into your fleet. Part of an all-inclusive ELD system powered by the Encompass® web-based back office. 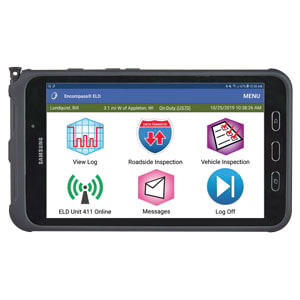 Choose from the professional or rugged tablet. Optional CoPilot® Truck™ navigation.